To truly be an effective foreclosure buyer, you have to understand how it is that a foreclosure becomes available for purchase. Knowing how to find the best deals and best prices depends on understanding how the foreclosure is being sold and why, and this is key to knowing how to place the right bids. A foreclosure is a property that is repossessed or put up for sale by a lender as a result of a homeowner's default on their mortgage loan. Generally, the process begins when the lender issues a Notice of Default informing the local authorities and the homeowner of their intention to seek a foreclosure. Once the Notice of Default is issued, there are several possible outcomes of the foreclosure process. The pre-foreclosure period can range anywhere from one month to a year, depending on local law and custom. Often times, homeowners who cannot pay off their default debt will turn to selling their property during this period. For buyers, this can be a great opportunity to find significant discounts, as most homeowners look to sell for reduced prices simply to raise enough to pay off their remaining loan debt. Buying a pre-foreclosure involves dealing directly with the homeowner, and oftentimes this means approaching homeowners and actively seeking out the deals. However, the results can be quite rewarding in today's market. 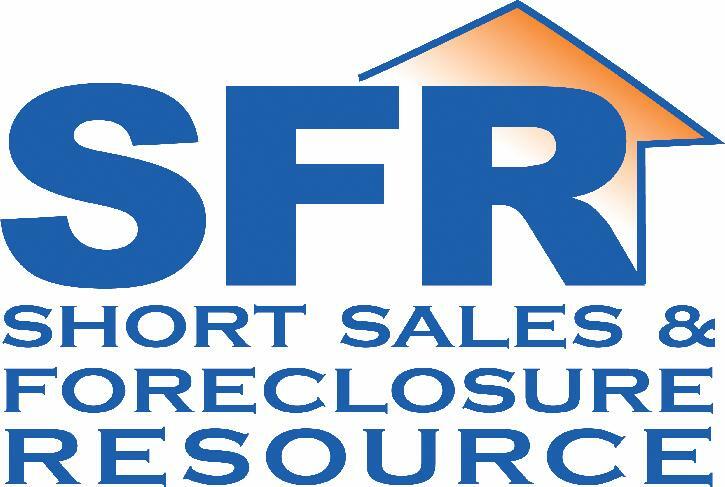 The foreclosure auction is the most commonly known way in which a foreclosure can be purchased. If the homeowner does not reinstate their mortgage, the property goes to a public auction, where anyone can bid. Auctions can be tough because they sometimes occur on short notice and don't allow you much time to do research and analysis of the property. However, they offer some of the best discounts, often ranging up to 50% below market value, and avoid some of the trouble of negotiating with a homeowner for a good price. If a foreclosure auction fails to satisfy a minimum bid amount, or the lender bids on the property themselves, then the foreclosure home may be awarded to the lender. This is known as government foreclosures and is most common with bank and government lenders like HUD. When this happens, banks will usually fix up the properties themselves before selling them, which can help you save on repair costs after you buy. However, the discounts you'll find on bank-owned homes aren't generally as high as through the auction method. But this can still be a great way to find quality properties for less. Buying foreclosures can be a great way to save money, but you'll have to have the information and tools necessary to find the right properties and decide which methods of buying and homes are best suited to your needs, abilities and price range. To get started in finding that perfect Sea Isle City REO/Bank-owned property or to get our up to date list of Sea Isle City Short Sales and Foreclosures please submit your search here. You might want to think twice about making an offer on a short sale home. It's not as simple as you may believe, and very few can close in 30 days or less. A short sale means the seller's lender is accepting a discounted payoff to release an existing mortgage. Just because a property is listed with short sale terms does not mean the lender will accept your offer, even if the seller accepts it. Be aware that the seller need not be in default -- to have stopped making mortgage payments -- before a lender will consider a short sale. A lender may consider a short sale if the seller is current but the value has fallen. The seller may have over-encumbered, owe more than the home is worth, so a discounted price might bring the price in line with market value, not below it. It's one strike against you if the listing agent has never handled a short sale, but it's even worse if your own agent has no experience in that area. You need an experienced short sale agent to ensure all the timelines are met in order to get to the closing table. Island Realty Group's very own Joe Zarroli has the experience necessary to see your transaction from beginning to end and boasts an impressive 100% short sale approval record, actually having gone to settlement in as little as 30 days! 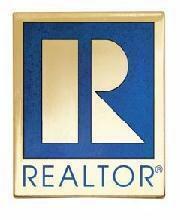 An agent with experience in short sales will help to expedite your transaction and protect your interests. You don't want to miss any important detail due to inexperience or find out your transaction is not going to close on time because no one has followed up in a timely manner. This is the golden rule of short sales. Make your offer contingent upon the lender's acceptance. Give the lender a time frame in which to respond, after which, you will be free to cancel. Some lenders submit short sales to committee, but most can make a decision within two to three months. If you don't feel you can sit back and wait a short sale may not be for you! If you have any questions you may contact Joe Zarroli directly at 609.402.8900. Often called a straight bankruptcy-involves the liquidation of all non-exempt by the bankruptcy trustee, who in turn distributes the proceeds to qualified creditors. All dischargeable debts are discharged and the person(s) filing receive a �fresh start�. The beneficiary in a foreclosure context is generally the mortgage lender. Frequently referred to as the �Benny�. An agreement between a mortgage holder and a borrower that lays out a specific loan payment plan and puts a stop on the foreclosure action so long as the borrower meets the terms of the agreement. The payment plan includes provisions for repayment to the mortgage holder of all delinquent interest and fees and could include extending the life of the mortgage beyond it's original term. A Forbearance Agreement is a tool that allows the borrower to keep the property. A copy of the Notice of Trustee�s Sale must be mailed (certified and first class) at least 20 days before the foreclosure sale to the borrower and to anyone who was entitled to receive a copy of the Notice of Default and Secretary of State and IRS, if applicable. An official notice that is posted, mailed, published/advertised and recorded by trustee at the direction of lender indicating lender�s intention to sell the property at public auction. The notice includes a specific date, time and location. Short for Real Estate Owned. When a mortgage lender acquires a property, typically through foreclosure, it becomes real estate owned � or REO. The sale of a home which is completed through negotiation with the existing lender(s) in which the lender(s) agrees to accept less than the full amount owed to satisfy the debt allowing the debt to be �paid off�, short. IRS Form 1099-c is issued by those canceling all of part of a debt to the person receiving debt relief. Note: The cancelled debt may not need to be reported as income.